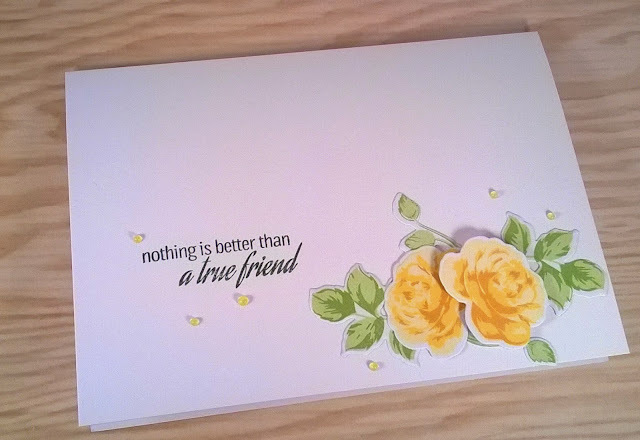 Today I am sharing a card I created recently using Altenews Vintage Roses stamp and die set. 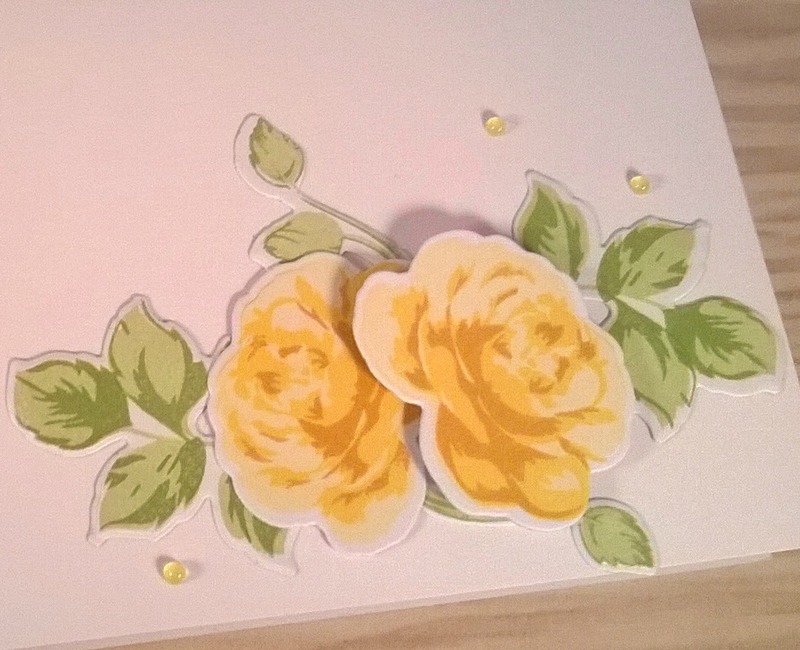 The Vintage rose stamp set was the first set I purchased from Altenew and as soon as I had them in my hand I instantly fell in Love. I knew that I then needed to have the matching dies to give me more options of how to incorporate them into my designs. Over the weekend myself and my eldest daughter were sorting through some of my craft items and I said to her that I felt like stamping and she asked if she could join in. She was surprised at just how relaxing and enjoyable stamping is.......she stamped and die cut the leaves for me. I love the vintage look and wanted to add a little something around the flowers and leaves so opted for Jewel drops from Tonics Nuvo range, they are so easy to use and you get perfect results every time. I have another card I made with the same stamps and die cuts to share later this week to show how just by changing the background of your card you can achieve a totally different feel.